01 Elite Sit 2-0-0 at the End of Day 2!!! The 01 Elite Girls win a 1-0 victory against Florida Elite 01/02, with ten seconds left in the match! Today's game was nothing short of amazing! 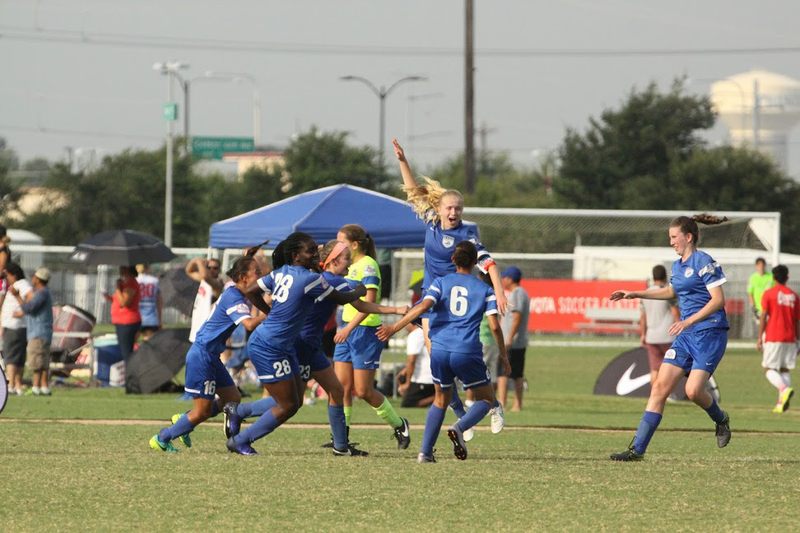 The BRYC 01 Elite Girls won their second game in the US Youth Soccer National Championships! With 10 seconds left in the match, a handball in the box lead to a PK, which in turn gifted our girls with the 1-0 victory over Florida Elite 01/02! With this win, the Elite sit comfortably atop their group. However, their biggest challenge has yet to come. Tomorrow at 12:30pm EST, the BRYC 01 Elite Girls will face off against the defending U14 National Champions, PSG MI Gators 02 Orange! Cheer them on as they play against this dangerous opponent, and get even closer to bringing home the gold!